Getting to know people can be hard. Sometimes an icebreaker can be useful. 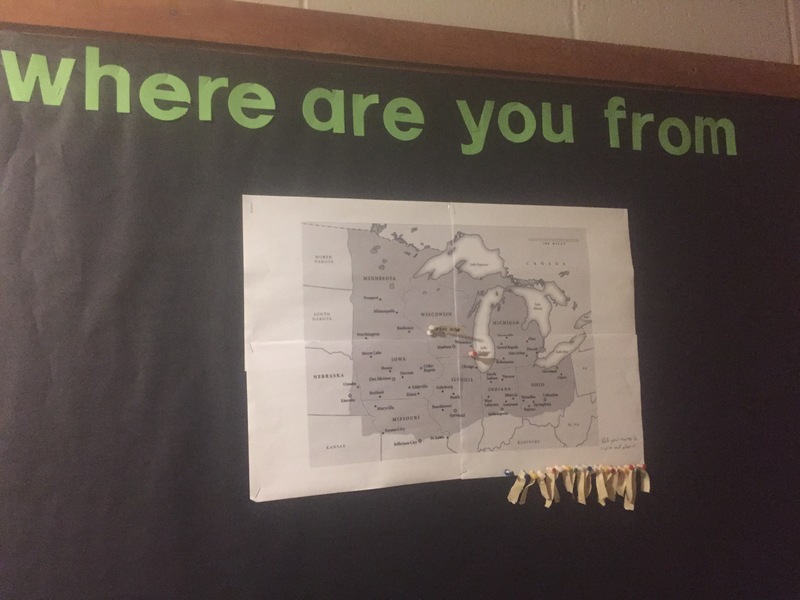 A perfect conversation starter could be asking about where someone is from, and with this handy dandy bulletin board, that icebreaker just got easier! Everyone can just add their name to a pin and place it on the map! Previous Post Sweet Star Wars Door decs!